Back in those days, Second Avenue was a busy, dirty commercial thoroughfare (maybe not so much different today what with the construction of the long overdue Second Avenue subway in full tilt boogie). There were streetwalkers sometimes on the opposing corner working the front of a seedy hotel. Many sections of the avenue in the mid-1960s were still paved with Belgian blocks, lending an ancient feel to this major thoroughfare. The world famous Papaya King Hot Dog shop was a block away, as well as the German beer hall “Old Heidelberg,” old world diners, and the “Little Finland” nightclub. During hot summer days in the apartment, I recall looking out a window to the west with an impossibly large (and loud) green housefly buzzing against the filthy screen, vainly trying to escape to who knows where. 1964 was when I first saw my baby sister Victoria at eight months of age. She would wriggle her little legs in her crib in front of me, the smell of soiled diapers wafting in the air. Graciela would attend to her with the cloth version used at the time, tossing the used ones into a container for the diaper service to deal with. The industrial safety pins used to secure them were deadly and could inflict deep punctures! Graciela would hold this dangerous weapon in her mouth as she changed the diaper. After that summer, I wouldn’t see her or Victoria again for 19 years. It was a memorable summer for me in another way as well – I was exposed to serious technology, something that would become my métier in years to come. It started with a trip to the New York World’s Fair in Corona Park, Queens via the Blue Arrow subway. Graciela took me by the hand as we walked in and out of the exhibits, some by country, and others by companies. 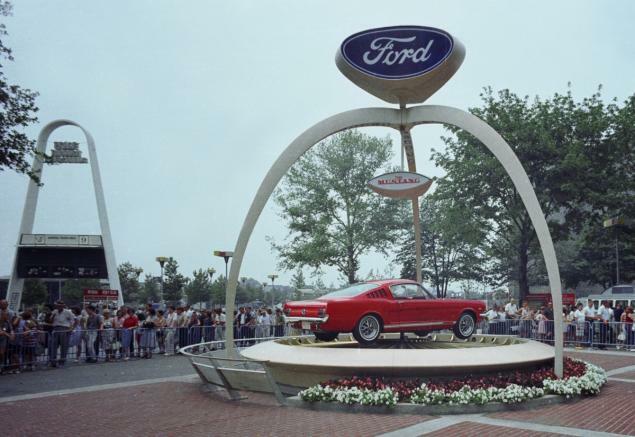 The Ford exhibit was notable for introducing the brand new Mustang, one of the most stylish American cars ever. You sat in the car as it drove through the exhibit invariably leaving you somewhere in the idyllic future. I asked Graciela if I could drive the Mustang (sit in the driver’s seat) and was delighted when she readily agreed. 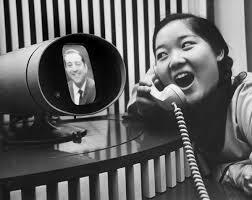 At the Bell System Pavilion, there was an exciting new push button telephone called a “picturephone,” where you could speak to and see your connection on a TV screen in real time. The shape of things to come indeed (though it took a while)! My imagination was particularly captured when the Mariner 4 spacecraft flew by Mars that July revealing the planet to be a dead crater-filled place. Afterwards, I asked Dad for every book about the planets he could find. My small library became cluttered with books about the planets, which by today’s standards were extremely sparse on details. Dad and Graciela brought me to the Hayden Planetarium which offered as an “exhibit” (probably installed in the 1940s) recalibrated scales showing your weight on Mars, Jupiter, and other planets. All that lame stuff was ripped out of there long ago in favor of real space exhibits. After the school year ended in 1965, I came back to New York and the apartment at Yorkshire Towers was gone! Graciela was likewise nowhere to be found! My Mom had doubtlessly mentioned something about Dad’s 3rd divorce, but he felt obliged to explain anyway. He had a completely frightful tale of woe; I never saw him so shaken before or since. That his marriage did not work out was an understatement of the highest proportion. “Graciela was a crazy woman,” he told me, and without further prompting from me showed me what appeared to be bite marks on his forearm and hand. He went on to explain that Graciela had fled the country with Victoria and that he had issued legal papers barring her re-entry into the United States! He was convinced that she wanted to come back from Ecuador and shoot him! 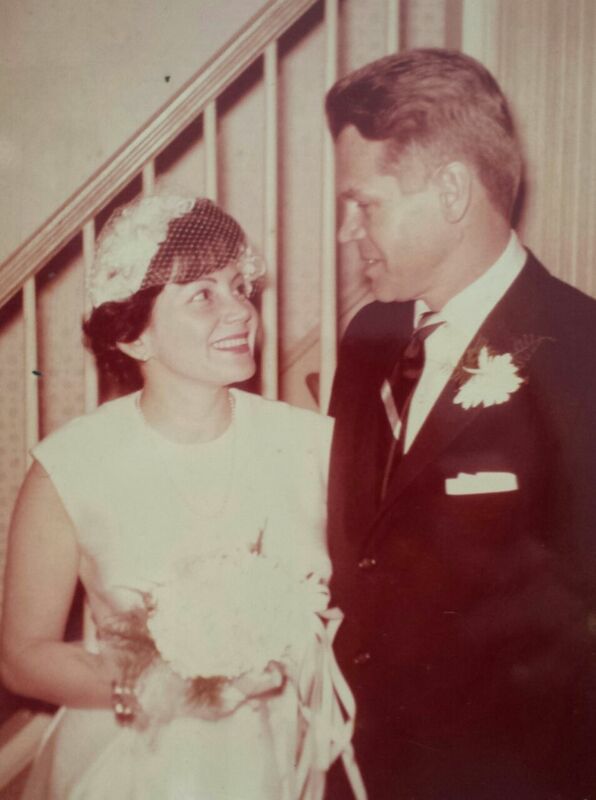 I was unable to reconcile the memories of the kind lady who took me by the hand to the World’s Fair with the evidence of mayhem on Dad’s person. I was learning that life with Dad carried a very real risk of huge reshuffles. No one was immune. Even Graciela was known to be sporting a nasty shiner around this period of time. That summer, he was not even living in New York City – he had moved to a suburban tract apartment in Bucks County, Pennsylvania to take advantage of that state’s more liberal divorce laws. Even the horsemobile had Pennsylvania plates that summer. There were two bedrooms and I was amazed to see most of his (and my Mom’s) furniture stacked high in a huge pile in one of the rooms. It looked unsteady and I was warned not to go in there. Believe me, a second warning was unnecessary. The black and white television, the screen of which Dad had affixed a plastic sheet with colored bars on it (to simulate a color TV) could only get strange Philadelphia stations, like channels 3 and 12. 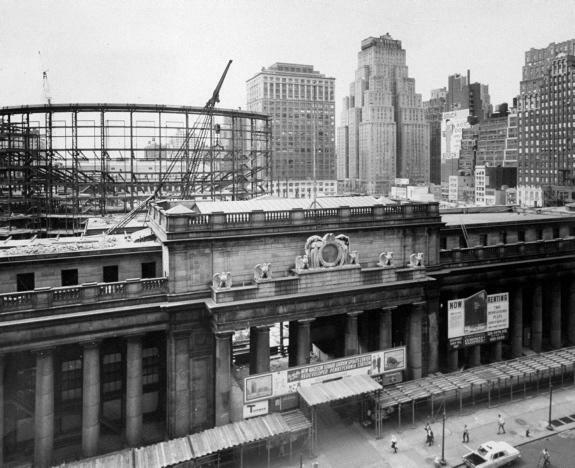 That summer, we commuted by train – Penn Central in and out of Trenton (remember this was before Amtrak) – to Penn Station which was a horrible mess during demolition of the beautiful classic structure. Off the train, we meandered through temporary plywood walls and hanging construction lights in the station undergoing reconfiguration as today’s mediocre structure (though I am fond of Madison Square Garden). Unfortunately, I do not recall the old elegant building, which was a real landmark. It’s often said that the 1960s was the era of reinvention. Dad’s personal life was certainly under reconstruction. His business life, on the other hand, was in clear ascent. Graciela turned out to be the prologue to his glory days, in every way. You are a good writer and all the weekly episodes are engrossing and interesting. that you have remembered so much about your family since you were a young boy. Amazing work, i want to congratulate you for these blog because this words have a very special meaning for me!!. Beautiful!.